Bingham steals the first frame from Ding. Ding makes some good snooker but Bingham escape very well. 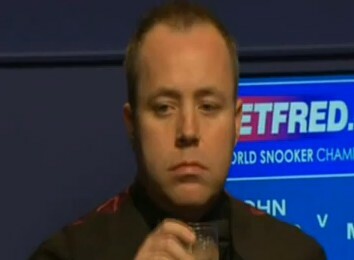 Bingham leads 3-1 before the interval. Ding pulls another back after mid interval, but Ballrun still leads 3-2. Bingham extends his lead to two frames difference again before Ding wins his last frame in the session. Stuart Bingham leads Ding Junhui 5-3 after the first session. Performance of Ding today is not brilliant, he needs some hard work in the next session. McLeod has a brilliant start for winning the first two frames but he loses all five afterwards. The session is shorten due to the slow action of their match. Higgins is not stunning today, but he plays much better after the mid session. I wish Higgins can do better tonight. John Higgins leads McLeod 5-2 after the first session. 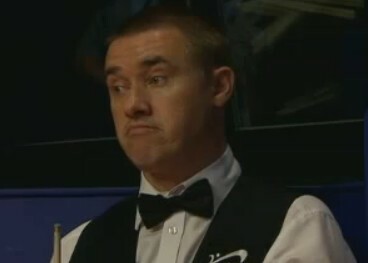 Last Crucible appearance for Hendry? match 117 to lead 11-4. Both players do not play very well yesterday but Ronnie still leads 6-2. Murphy wins the first frame of the session, trials 3-6. When Ronnie requires two snookers to win back the frame, Ronnie do comes back and it is very impressive. Usually Ronnie will concede the frame if it needs one/two snooker. Murphy wins two in a row, reduce the gap to 4-6. Ronnie found himself lucky to win the frame by a wrong judegement on safty, he gets back a 7-4 lead over Murphy. Murphy trials 5-7 behind Ronnie before mid-session. Ronnie extends his lead to 9-5 with 95, 59. Murphy wins the last two to be 7-9 behind after the second session. Ronnie struggules today, especially with his long pots... He is lucky to secure a lead over Murphy after this session. Tight session we will have tomorrow! Can Ding reach QF this year? 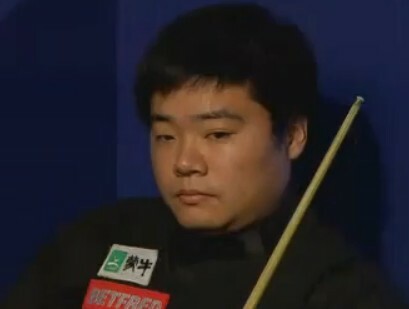 Ding does not satisfy with his performance in the morning, of course he wants a fightback in this session. Ding wins the opening frame before Bingham takes three in a row. Bingham is 8-4 up on Ding with 56 and 87 before mid session. After mid session, Ding starts to fight back to take three frames with 93, 75, 91 while Bingham only gets one. Stuart Bingham still keeps two frames advanatge over Ding Junhui after second session, leading 9-7. All the matches will be finished by the end of today :-) Remember we have no morning session today, fans need not to wake up so early today!